LG is offering a dual-SIM Android 4.1 handset in the same segment with the LG Optimus L3 II Dual. The handset is an upgrade to its Optimus L3 Dual phone that it launched last August.The LG Optimus L3 II Dual sports a compact form factor and is just 102mm long and 61mm wide. The smartphone has curved rounded corners. We had a Black colour variant of the phone as our review unit. The LG Optimus L3 II Dual sports a compact form factor and is just 102mm long and 61mm wide. The smartphone has curved rounded corners. We had a Black colour variant of the phone as our review unit. The front houses a 3.2-inch screen and 4 capacitive buttons, namely Back, Home, Menu and a button for switching to the other SIM. The bezel below the display is pretty large and at times makes it inconvenient to reach the buttons without looking. There's a volume rocker key at the right side of the phone, while there are no buttons on the left side. The Power/ Screen-lock key and the 3.5mm headset jack sits at the top while the micro-USB port is located at the bottom. The back cover is made of plastic and sports a glossy finish, which is susceptible to smudges. 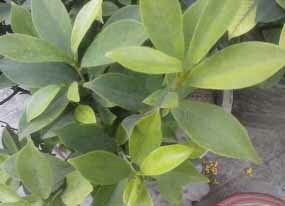 The 3.2-megapixel-camera lens is located towards the upper part of the back. 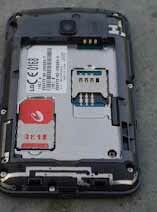 The back cover hides a battery compartment, two SIM card slots sharing the same compartment and a microSD card slot located towards the top edge. The LG Optimus L3 II Dual comes with a 3.2-inch screen that has a resolution of 240x320 pixels, which is very low compared to other smartphones in the segment. This results in graphics and text appearing less sharp. At times text that has a small font size is even unreadable. Even watching videos or playing games isn't a very pleasant experience. In fact, we'd say the low-resolution display is one of the major flaws of this handset. However, the screen is not very reflective, and the viewing angles were pretty decent thanks to the IPS panel. The under sun visibility for this smartphone is above average at full brightness levels. The smartphone runs Android 4.1.2 Jelly Bean and LG has added its own Optimus UI layer on top, majorly changing the look and feel of the interface and enabling users to customise the phone. Interestingly some of the customisations and UI extras offered by LG with its flagship phones such as the Optimus G, have made it to this phone in the same or a lighter avatar. LG has also skinned the notification tray and has included toggles for various settings including for sound, data, NFC, Bluetooth, Wi-Fi, and Hotspot among others. It also features a shortcut for system settings, and a control for changing screen brightness. Talking of apps, the phone includes additional ones for Backup, Cell Broadcast, File Manager, a Memo app, Polaris Viewer (for office documents), LG's service related apps, LG's own app store (SmartWorld), and a Task Manager. LG has customised nearly all stock-apps including the Gallery and Music apps, adding more functionality in addition to just bringing eye candy. For instance the Music app features a button for locating the video of a song on YouTube. Even the system settings menus have been skinned and are pleasant to look at. In addition to all of these, the phone brings standard Jelly Bean functionality. Overall, LG has tried to make the phone as different from stock Android, as possible. 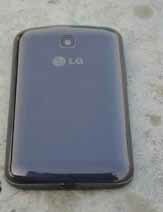 The LG Optimus L3 II Dual sports a 3.2-megapixel-rear camera and doesn't come with a flash. Just like the Optimus G, it can also take pictures with voice commands like 'cheese', 'kimchi', 'LG', 'Smile' and 'Whisky'. The phone's camera app offers various scene mode's including Portrait, Landscape, Sports, Sunset and Night modes, along with settings for ISO, White Balance, Colour effects, and exposure. It also offers a timer. While pictures taken outdoors under daylight were decent, the same cannot be said about the ones taken indoors under artificial light. The latter were grainy and lacked detail. You can capture VGA resolution (640x480) videos in the video mode. The videos taken with the phone were just about average. 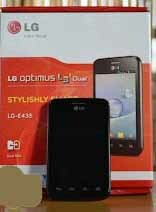 The LG Optimus L3 II Dual ships with a 1GHz single-core processor that has a clock speed of 1GHz. It also has an Adreno 200 GPU and 512MB of RAM. The LG Optimus L3 II Dual comes with the native Android browser as well as Chrome and we found that it renders all webpages well. The phone doesn't come with Adobe Flash pre-installed. The speaker on the phone delivers average quality sound at high volume levels. The speaker is integrated with the phone's earpiece so sound doesn't get muffled even when the phone lies on its back. Call quality was good with our voice being delivered loud and clear to the other party. The phone is a dual-SIM GSM phone with support for one active and the other in standby mode. The phone comes with a 1540mAh battery and we were satisfied with the backup that it offered. With mixed usage during the day, including playing games, a few calls, and e-mail and Twitter notifications turned on, we were able to get about one-and-a-half days of backup. Although the battery's capacity isn't very large, we believe that the low-resolution screen helps in optimizing the battery backup offered by the phone. At a price of Rs 7,899, the LG Optimus L3 II Dual is a decent Android smartphone in this price-range.